We all have to wear clothes, and it’s better for everyone if they’re clean when we do. But even though we all do laundry, it’s not something we talk about very much. You probably have no idea how Jill down the street does her laundry. That’s where we come in. We’ve talked to moms, read books and blogs, and listened to podcasts to figure out how families are actually getting a handle on this laundry problem. This article summarizes what we discovered. When we came across someone with a particularly unique or effective strategy, we wrote profiles of their laundry systems, which you can find here. Maybe it sounds crazy to formally create a laundry strategy, but you probably already have one. There are a surprising number of different ways to approach laundry. 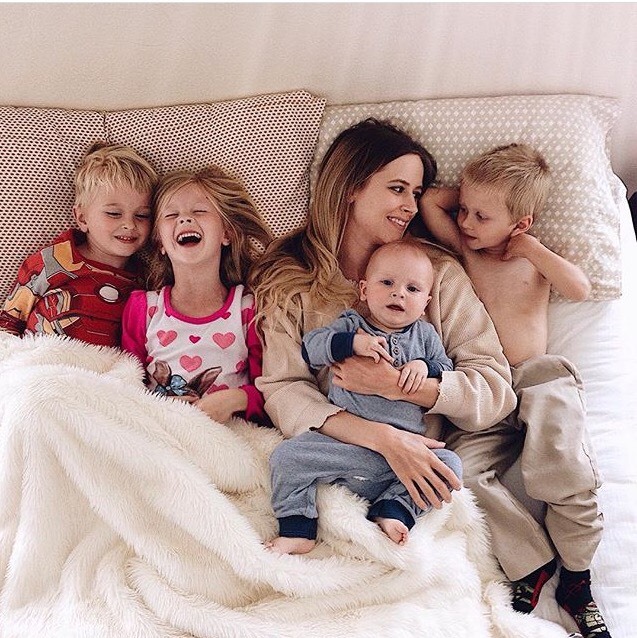 For example, Adrianne’s main objective is to keep clothes looking new, which looks great, saves money, and allows her girls to pass their clothes down to each other—but, it takes time. On the other hand, Molly’s main objectives are to save time and to teach her children to do their own laundry, starting at age eight. Her system is efficient but, at least at first, may result in shrinkage and pinkage. Prolong the life and quality of clothing. Get laundry done as quickly as possible. Get all the laundry done at once. 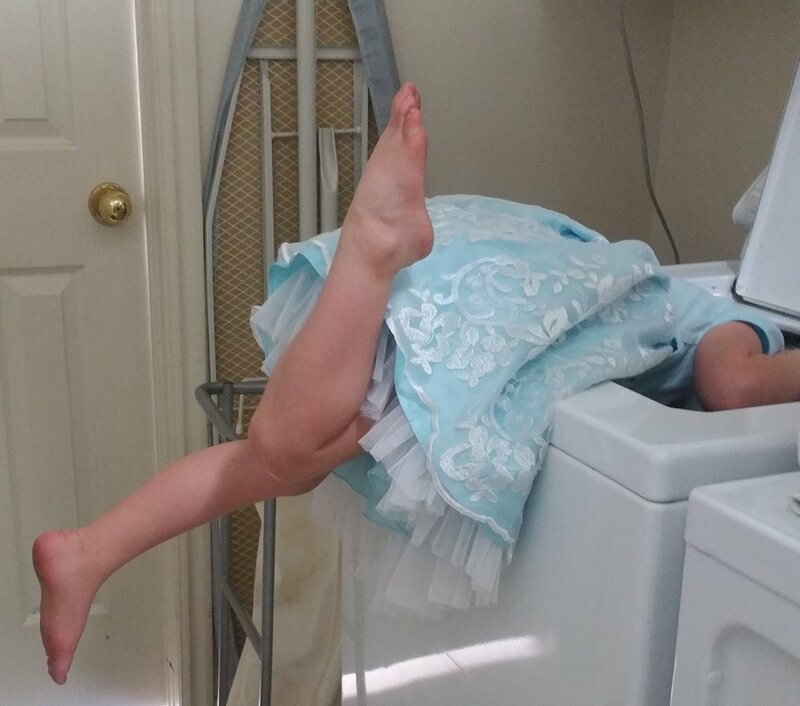 Teach children how to do their own laundry. Your objectives may be a combination of these, or different altogether, but the way you prioritize your laundry objectives determines which laundry tactics you will use. So it’s good to identify what you’re trying to achieve as you create or fine-tune your laundry system. There’s no right answer here. Figure out what is important to you. 2. How do you store and sort dirty laundry? 3. How do you wash and dry your clothes? 4. How do you sort clean laundry? 5. How do you put laundry away, and whose job is it? Hold onto your laundry baskets—there's actually quite a bit of controversy here. There are two main camps when it comes to laundry frequency, and the moms we talked to were surprisingly passionate about their positions on this one. You’re either a load-a-day family or a laundry day family—and it seems to be a pretty even split. Those who do a load a day can’t imagine the enormity of tackling all the laundry in one fell swoop. Meg keeps sorting hampers in her laundry room. Family members sort their laundry into the hampers. Each day, she washes a load from the fullest hamper, or the one that contains items that are most needed for the next day. Julie grabs all the dirty laundry in the house every day and gets it totally done. Occasionally this means more than one load in a day. Molly picks whichever bedroom hamper looks fullest and washes and puts away everything from that hamper. Whitney and Sarah designate a day of the week as each family member’s personal laundry day and supervise in varying degrees, depending on the age of the child. Lisa W. spreads her laundry through the week, though not necessarily one a day. This saves her time and stress on weekends. Flylady recommends doing a load a day. Once-a-weekers think dragging it out all week sounds like a nightmare. These moms typically set aside a specific day of the week, sort all the laundry in the morning, and keep the machines running steadily until it’s done. And then it's done for a whole week. Many laundry day families fudge it a little, doing all the clothes in one day and linens/towels on another, but it’s still mostly in one day, and typically that day is Monday for stay-at-home moms, and Saturday or Sunday for working moms. Dana sorts Sunday night, starts a load Sunday night, and then processes her other loads on Monday, starting first thing in the morning (6-7 loads for a family of five). She piles the clean clothes on her bed and sorts and folds at the end of the day. Stacie starts sorting dirty clothes as soon as the kids go to school Monday morning. She processes the clothes throughout the day, hanging them up right as they come out of the dryer. Laura does all her regular clothes on Mondays, linens as needed, and school uniforms on Saturdays. Lisa does all her laundry in one day, as needed. She doesn’t designate a specific day of the week. She manages to keep it down to three to four loads a week for the five family members that live at home. Her trick is to focus on preventing them from getting dirty in the first place. Still other families just do laundry as needed, especially when kids are in charge of their own. Sometimes this means a load at a time, sometimes all in one day, depending on what they need. Although this may sound haphazard, it works for some people, especially smaller families. And we’re all there from time to time! Most respondents keep laundry hampers in each bedroom or bedroom closet, sometimes more than one hamper if kids share a room. For the master bedroom, Ashley uses a basket with two sides, one for whites and one for darks. You can buy these pre-made or make them--the Internet abounds with tutorials for laundry sorting baskets made of PVC pipes. Meg keeps a hamper in the kids’ bathroom as well. Whitney keeps a hamper on a shelf by the basement stairs for kitchen rags, clothes and bibs with food stains, and stray discarded clothing. Most families keep at least one hamper in their laundry room. Laura keeps two hampers in her laundry room: one for towels and rags and one for school uniforms. Meg and Lisa keep sorting baskets, organized by color, in their laundry rooms. Most moms we talked to sort the whole family's clothes together, by color, usually washing whites, colors, darks, and towels in separate loads. This can be a good time to get the kids involved. Some do a separate load for all jeans. Stacie does a separate load for workout clothes. Lisa W. sorts by weight—not that she’s actually using a scale. She does towels together, jeans together, shirts together, etc., because she likes to group them by items that need the same amount of drying time. Some moms, like Molly, Valeria, and Whitney, think it’s worth a little dip in quality to save the time and hassle of sorting, especially since most clothes these days are pretty colorfast. They skip the hassle of sorting kids clothes completely. (I know, the thought of this makes some moms shiver.) They (or their kids, by age 8 or 9) grab a hamper from one room, wash it, dry it, put it back in the hamper, bring the hamper back to the room and put the clothes away. No need to sort on either end. They do sort adult clothes into lights and darks, and of course delicates, when they wash them. Thanks to our fabulous modern machines, there isn’t much variation in how families actually wash and dry their clothes. Some treat stains right as they happen, others treat them while sorting or on the way into the washing machine. To see the stain removal products our respondents recommend click here. Several respondents wash most clothes on a cold cycle to prevent shrinkage, color-bleeding, or setting missed stains. Some families use drying racks for delicates, others just drape them over their baskets or ironing boards, hang them on hangers, or lay them out on towels or on the dryer. The hardest part about washing and drying is actually remembering to switch loads. Some moms set a timer on their phones, instead of just relying on being within range of the machines' buzzers. Lindsay just sets her phone timer to go off every hour on her laundry day. Others, like Sarah, connect switching loads with specific parts of her existing routine. She puts a load in in the morning, switches it to the dryer at her kids' quiet time, and then folds it after they go to bed. Now for the hardest part: getting those clean clothes folded and put away. It's just so easy to leave those clothes in the baskets for days! This is one of Flylady's big platforms: the laundry is only done when it's folded and put away. If you have trouble with this, she suggests not even letting yourself start another load until you've put the previous load away (not just in the right room). The biggest controversy here is whether to sort and put it away right out of the dryer, or to heap it and do it all at once. Obviously, load-a-day families will just put it away as it comes out of the dryer (or at least intend to). To get through this tedious task, and even make it something to look forward to, many moms give themselves a reward: they get to watch a favorite show while they sort and fold. Lindsay takes this a step further and makes it a family affair. She washes everything on Mondays, and the whole family sorts the big mound of laundry at the end of the day, while enjoying a movie together. Whitney and Molly avoid the ordeal completely. They don't sort by person at all, because they wash each family members' clothes separately. The clothes just go back into the individual's hamper to be put away. Ashley, Valeria, Meg, and Alison sort and fold the clothes themselves, so they will be put away nicely. Sarah S. lines up baskets in her laundry room, sorts them right out of the dryer, and has the kids bring their baskets to their rooms and put it away when it's all done. Jennifer brings the laundry to the living room and has the kids sort it into piles. Then they put their own piles away. Each of her children has their own color of socks and underwear, so it's easy for them to sort. Dawn and Whitney designate a specific type of sock to each kid, so sorting them is easy and they don't have to be paired. Finally, the last step: putting it away. However you do it, the key is to just get it done, so they don't end up mixed with dirty clothes and go around again before ever seeing a hanger or the inside of a drawer. In most houses, kids are responsible for putting their own clothes away, or at least helping, which further complicates things. Dawn's solution is her "no excuses rule." All clean laundry goes on the owners' beds, and it must be put away before they go to bed. No excuses! We found that there's a pretty even three-way split about how to put the majority of clothes away—hanging, folding, and neither. Those who hang most of their clothes, do it to keep them less wrinkled and accessible, or sometimes just because they have more rod space than in drawer space. Stacie hangs them right out of the dryer, on a hanging rod in her laundry room. She has different hangers for each family member, so she can sort them as she hangs them. Those who fold them often do so because they take up less space that way. Cassie uses Marie Kondo's folding method, folding them upright in the drawer (video demonstration here). Cassie especially likes that her kids can see what their options are right when they open the drawer. And then there are those who don't fold (at least not kids' clothes). They're just going to get messed up the next day anyway! This method usually just applies to play clothes. As for ironing—wrinkle-free shirts for the win! Some families take collared shirts to the dry cleaners, some use a steamer, and some still iron (or at least have an ironing pile). In fact, Aubrey actually enjoys it! Molly often sprays her kids' clothes with Downy spray for a quick touch up. Do you have some great ideas to add to this article? Email whitney@howshemoms.com. Organize 365 (Lisa W.): Multiple days of laundry, do hardest load first. Flylady: A load a day, fold immediately out of the dryer. 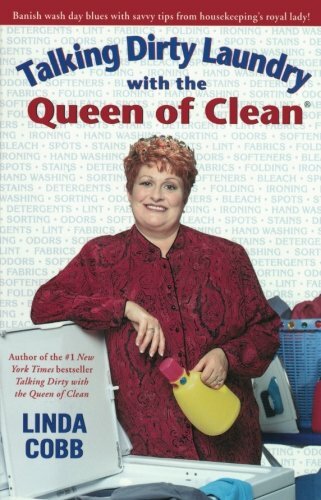 To read this book is to make a new friend—one who struggles with housekeeping as much as you do. 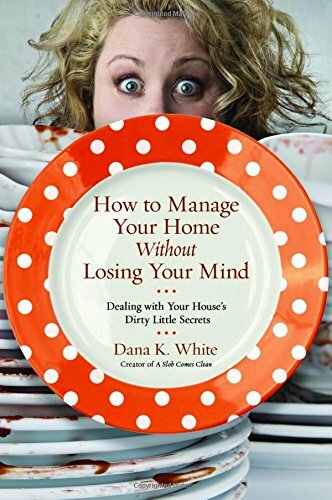 Dana White, the blogger responsible for "A Slob Comes Clean," is honest, funny, and real, plus she has great ideas about how to realistically clean up your act. This is a great reference to keep in your laundry room. Tips for stain removal, machine maintenance etc.